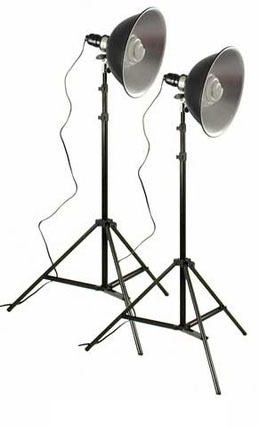 Our Two Large Lights Set is specifically designed for digital product photography. It is ideal for use with the 12" EZcube, 20" EZcube, 30" EZcube, 50cm SimplyFoto Light Tent Cube, 50cm SimplyFoto Light Tent Cube, 75cm SimplyFoto Light Tent Cube, 40cm SimplyFoto Square Light Tent, 50cm SimplyFoto Square Light Tent and 60cm SimplyFoto Square Light Tent and for other product photography applications for photographing a wide range of small to medium sized products. 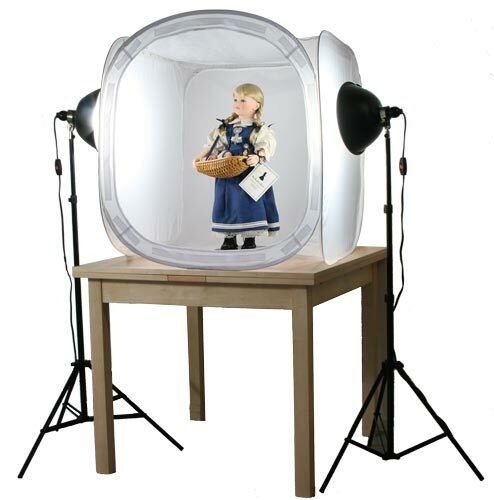 For larger light tents and for full studio work we recommend the Two Kuhl Lite 120 Lite Set or the Two Kuhl Lite 120-R Set. 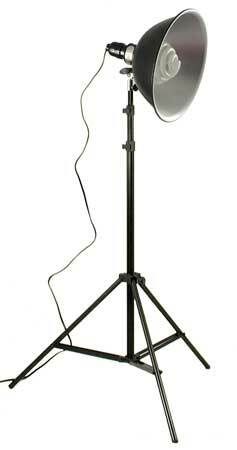 Our Two Large Lights Set includes out own specification Trumpet Top Bulbs, developed with the optimum 5000K colour temperature for perfect product photography. 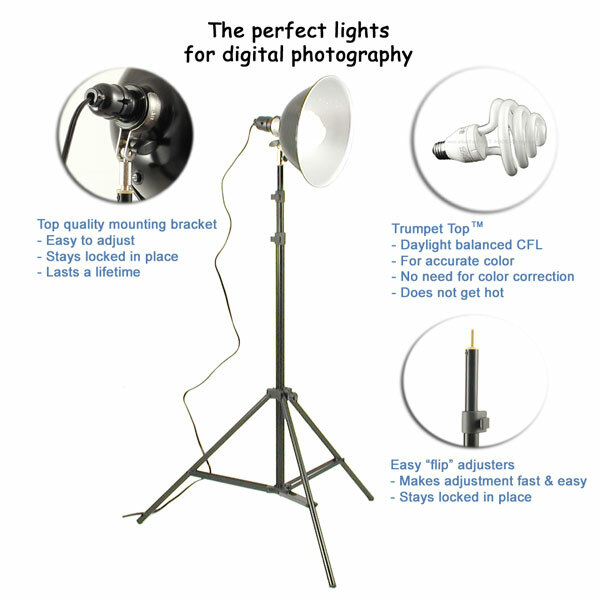 To read more about product photography lighting click here.